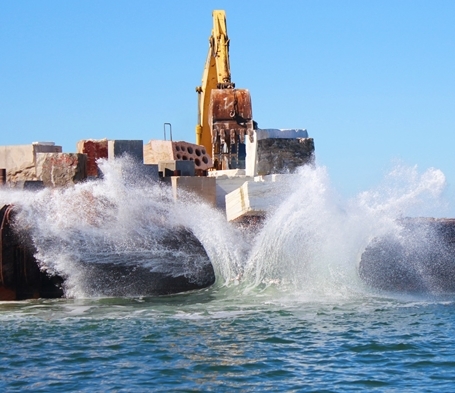 The first phase of construction on Texas’ newest artificial reef concluded this week when a barge load of giant granite blocks and other concrete materials joined a sunken barge at the HI20 site off Sabine. The new reef currently provides about 40 acres of habitat in the 160-acre site, and plans call for several more deployments of material to create an expansive habitat for many species of fish within easy reach of recreational anglers on the upper Texas coast. 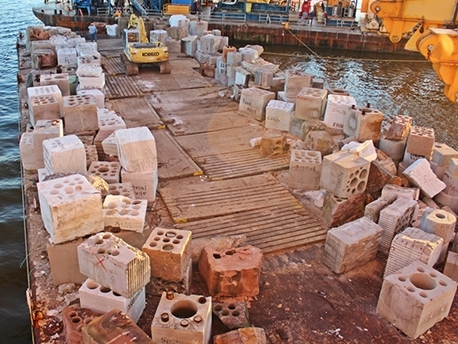 The HI20 Reef is the newest link in the growing network of artificial reefs off the coast spearheaded by CCA Texas and CCA’s habitat national habitat program, the Building Conservation Trust (BCT). 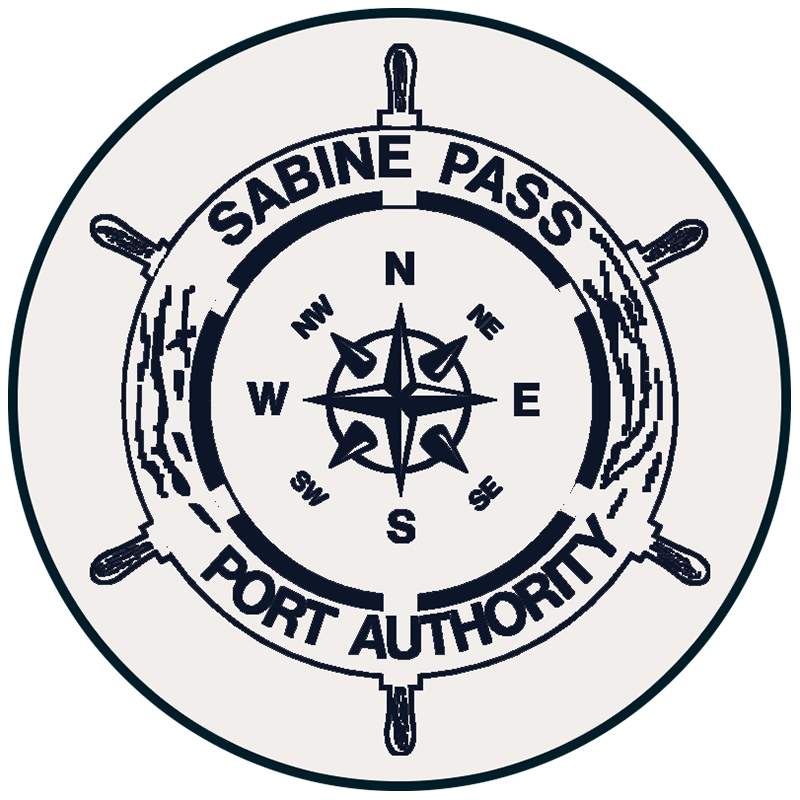 For the HI20 Reef, CCA Texas, the CCA Music City Chapter, and BCT partnered with the Texas Parks and Wildlife Department, Shell Oil Company, Sempra Energy and Friends of Sabine Reefs to provide substantial funding and make the first deployments at the site in early October. In addition to the 120-foot barge, granite blocks and other concrete material already deployed at the site, future deployments of other reefing materials will make this a genuinely “Texas-sized” habitat area for marine life. Artificial reefs provide not only accessible places for anglers to fish, they also play a critical role in marine ecosystems as centers of production for a host of marine life, including highly popular species like red snapper and amberjack. With the vast forest of energy structures that has dotted the Gulf of Mexico for decades slowly disappearing due to federal government regulations, artificial reefing initiatives take on an added importance. At one time, the 12 oil blocks off the Texas Gulf coast held approximately 1,800 standing platforms. Today only approximately 270 platforms are left, and only 22 platforms remain along the upper Texas coast. For more information about these efforts, contact John Blaha at jdblaha@ccatexas.org or visit Texas Parks and Wildlife’s Artificial Reef program website at tpwd.texas.gov/landwater/water/habitats/artificial_reef/.